Talent management is the kind of business strategy which organizations trust to handle and retain the top employees. It is a stated business strategy that ensures the attraction of top talent in competition with other employers. 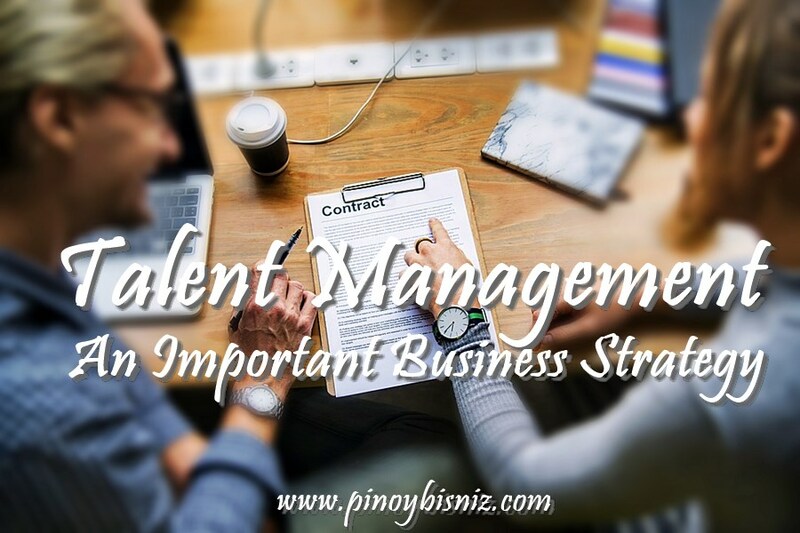 We might think that talent management is another annoying Human Resource term. 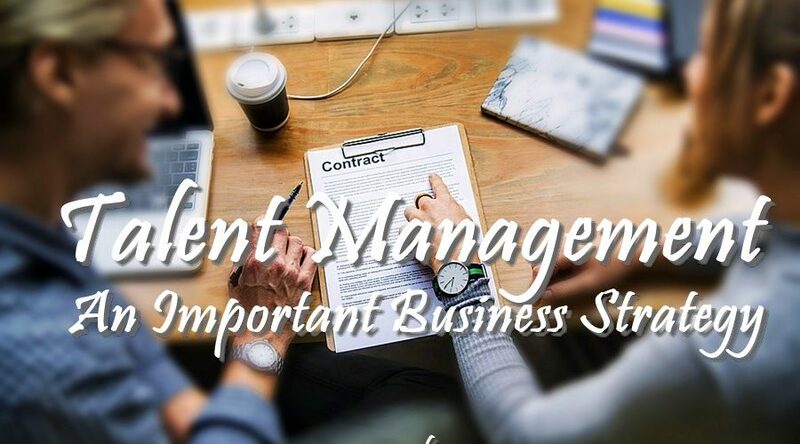 However, talent management is one of the most essential departments of a successful company. They are the people who focus on the recruitment, hiring, retainment, and development of the most talented and excellent employees that are available in the job market. It consists of all the work processes and systems that are connected to retaining and developing superior personnel. A talent management strategy involves creating highly-skilled talents to complete a workforce. Recruiting competent candidates is not easy, that’s why companies need to train and develop specific applicant who have the right capabilities. In order to achieve this, the company or organization must develop strategies involving consistent and capable leaders who are able to implement the best possible talent management processes. The people in the team are the most important assets of any organization. They have the qualities that keep the company rising in the industry. That is why it’s really valuable for a company to manage, train, and nurture their people. Without talent management, employees will feel ignored and might choose to leave the company for better career endeavors. Proper and successful talent management will make the members of the company grow alongside the organization or team they are with. What Processes Are Part of a Talent Management System? According to the list, most of these work systems are fairly in the hands of the employee’s superior or manager. HR provides the day-to-day interactions, and is deeply involved in the performance management system career planning, and developing of the systems. The talent must have the qualities that make them fit for a role or position. Developing the right job descriptions play a critical duty in the entire process. Also, looking for potential talents and encourage them to be a part of the team. Even if the candidate seems qualified, talent development is still important to accomplish the goals. The talented ones are those who managed tasks exceptionally in the team. It’s really important to know and acknowledge such performance and evaluate of the individual is eligible for promotion. The management should determine who is qualified enough to take the place of retiring individuals in the future. The whole process will only end once an individual retires or resigns from a company. As what it was stated in the article, talent management is not easy because you need to consider a lot of process. In order to achieve performance management, you need to hire the best employee in the market. That’s why most organization do not utilize performance management because it will takes a long period of time to find the best employee in the market. In the organization I’m involved with, the strategies mentioned are in place and on-going. But it’s also true that for some reasons there are organizations that do not utilize some of the strategy cited in the article. For example, Promotions, other organizations tend to look for outside potential in order to inject a different and new practices and ideas to the existing organization. Credential review and Background checking, this strategy is not even accordingly practice in some organizations or else they can’t recruit for bulk of talents when needed reason why, they come of performance plan to leverage the gap between the qualifications of the employees and the long term goal of the company. Limited Resources to conduct a specific strategy is for me one of the factors why most of the organizations can’t materialize a strategy mentioned in the article. As much as the organization would wanted it, but still it boils down to the Capacity to fulfil all possible strategies mentioned on the article. In the organization I’m involved with, the strategies mentioned are in place and on-going. But it’s also true that for some reasons there are organizations really that do not utilize some of the strategy mentioned. For example, Promotions, other organizations tend to look for outside potential in order to inject a different and new practices and ideas to the existing organization. Credential and review and Background checking, this strategy is not even accordingly practice in some organizations or else they can’t recruit for bulk of talents when needed. Reason why, they come of performance plan to leverage the gap between the qualifications of the employees and the long term goal of the company. Limited Resources to conduct a specific strategy is for me one of the factors why most of the organizations can accomplish a strategy mentioned in the article. As much as the organization would wanted it, but still it boils down to the Capacity to fulfil all possible strategies mentioned on the article. In a contemporary business there is always performance management because we always take employee’s hardwork into the account however there could be some reasons when performance management is being set aside because of some important external factors. A hardworking employee is always a potential employee but when a business need to grow the management don’t only need performance but they also need a concrete knowledge of business strategies and advancement. These enable a company to expand in to its maximum capacity with all appropriate standards applied . In my own opinion reason why, most organization do not utilize performance Management if it is an Important Business Strategy is that they do not want to spend extra expenses due to some reasons like low company’s income and inability to compete against competitors. Some organizations could not afford to let their employees undergo constant training as one important key to talent management. Career moves will not be observed also by organizations since this requires extra money to be added to the salary of the promoted employee. If the company has a low income, they will not be able to utilize performance Management since it mostly requires money to find the best talent, undergo them to proper and complete training, and increase their salary when they are promoted. Moreover, inability to compete against competitors would be a factor also why most organizations do not utilize performance management. If the competitors are big enough, an organization could not find the best talent who possesses the capabilities that will complete the workforce and keep the company rising in the industry. I think the reason why most organization do not utilize performance Management because of absence of tactical concentration. The company’s tactic and objective must connect into your management method to deliver real business value. A well-designed method begins with concentration. To have a lot of organizational goals and method likely leave your employees feeling doubtful, misaligned, and unproductive. Another one is that lack of management support, without the management support, performance management will not successful no matter how well-designed the method is lastly, Lack of recognition a rewarded and effective rewards and recognition program should have clear expectations and criteria around what types of performances and actions are rewarded that drive every organization forward. A quote from Richard Brandson stating ‘‘take care of your employees and they’ll take care of the business. It’s as simple as that. Healthy, engaged employees are your top competitive advantage’’. Why most organization does not utilized performance management? They are not focused on the long term impact a good, motivated and engage, the loyal, trustworthy and hardworking employees but on the fresh, lack of experience employees. They also are thinking of the expenses they will have by hiring said talent and where to find that talent. In the perspective of a business, they are afraid of having to pay a lot of benefits and extra to those employees but efforts on hiring new staff for trainings and sometimes no training at all is what they think good to the company. I believe long term employees are more likely to be attached to the business if actually they are appreciated; small salary sometimes is not the reason why they left. Employees left due to feeling of lack of sense of responsibility on them, lack of trust and confidence, I believe failure will always be a part of a business but ailing means you’re trying and leading to plan a better strategy later on by those long term employees, while new employees from time to time could bring new ideas and fresh and strong point of view yet problems of last employees could actually rose back in another new employee. Yes, as stated finding the best talent, yet best talent don’t just grow on trees you need to nurture and test the diamond in the rough. A best talent cannot just come from anywhere but as human resource seeing who among the employees and applicants could actually there to stay and be the best talent you wanted for the job. The best talent that you are willing to motivate and pay according to what he can give to the company without losing the people behind the success of the business, they may be not the star quality you wanted , but they composes of the veins of the company. You may not now the talent you’ve been looking for is actually under your nose. Talent Management as per the article above is somehow a new trend in the business world. This strategy includes recruitment, hiring, retainment and development of most talented and excellent employees that are available in the job market. It consists of all the work processes and systems that are connected to retaining and developing superior personnel. Companies that are innovative and updated are the ones who have probably engaged into this business strategy — big companies. However, for small scale businesses and those that are somewhat traditional or conventional would prefer to have a status quo in terms of their strategies. Good performance management system is important but, in the real world, utilizing it into an organizational system is difficult than we think it is. Performance management for some organization is not working. It is an administration process forced by Human Resource department that adds a little value to the business. It is time consuming and it creates frustration for employers and employees as well. Why most organization do not utilize performance management because of the following reasons. Lack of management and leadership support to help teams engage actively in performance management. The organization needs committed leaders to recognize managers and employees outstanding performances. Performance management success depends on leadership support. Rewards and recognition are effective ways to motivate and inspire employees but then, lack of recognition doesn’t promote productivity. Having too many goals or lack of focus on what company goals to be prioritize will lead employees into confusion and unaligned thus, inefficiency takes place. Lack of training and communication also contribute for not making use of performance management. Many don’t understand what it will do to them and for the business growth. It requires leaders to communicate well to make the employees understand better the knowledge, benefits, skills, and continuous training in implementing performance management process. Managers should provide meaningful feedback or performance review when something happens, may it be good or bad to boost employee’s morale otherwise, blindsided can cause confusion, disappointment and detachment of oneself from the team. Good performance management is important not only it elevates business growth but it also saves you from costly lower employee engagement level for top performing employees to leave the company. 1) Many CEOs trust their charisma and powers of persuasion more than an HR department for retaining staff and train them the way they feel is right for the business. 2) Other CEOs think that a big HR department with big ideas and plans that would possibly conflict with his own is a waste of time and money. 3) Others yet feel that should they spend time and money nurturing talent, it would only profit the competition as it’s only a question of time before they be poached or even start their own business so better not teach them too much. 4) Others feel instead of spending big money on a HR department with big plan, better spend that money on key staff to buy their loyalty. , some organization are not utilizing this kind of process even though it is an essential business strategy. I think one of the reason why the organization hesitates to apply this technique is because of the “culture”. When the organization is operating for almost a century already, the employees will tend to complain because they weren’t used with it before. They will claim that the company is functioning well even without that strategy. They will possibly think that the organization will just strictly monitor their performance without consideration. However, this thinking could be changed if the organization will invest to this strategy as long as it is accompanied with a proper training. Personal intension while affect the performance management of the organization, because when the top management has already a person on their bet for specific position. We do have rights to pursue our observation for promotion. Whenever that specific person is capable for that position, if he/she can do good qualities of work if the top management is already decided we cannot do anything. Performance management helps the organization to be systematic and organized through the employee’s evaluation. To know what is right and wrong, what is needed and needs to be improved for the company or organization. However,the other organization or company does not utilize performance management strategy even though it’s important in business strategy. The reason why they failed is because of the lack of resources and lack of idea or knowledge on how to implement performance management for the company. First, I’ll tackle the issue about lack of resources, some organizations especially in small organization or company cannot afford to pay or buy something that can improve their performance management for their organization. Therefore, it’s difficult to the management or organization to implement a good performance startegy because of the lack of money and resources. Example the incentives, bonuses, trainings for employees and most especially, the appropriate salary for the employees. These factors needs to be considered why they failed to utilized proper performance management even though we know already that it’s a big help for the organization. Second, lack of ideas or knowledge on how to implement performance management. Some organizations or the head of the HR office are not familiar about performance management. They don’t know how to implement those strategies and they must need to be updated in all information when it comes to performance management because now a days, updating the system and the new trends in performance management has arisen or emerge in the world of business. Thus, the head of organization must be updated and know more about performance management. In running a business, in order for your investment to grow and prosper, business owners would rely much on their employees to keep the company running effectively and efficiently. And as a mediator between the top management and the employees, the HR Personnel should think and create strategies to help the top management by hiring, recruiting and retaining the best workers there is and this kind of business strategy is called Talent Management. However, this strategy is often times being neglected or is not utilized properly; maybe because of the lack of support from the department heads or the employers themselves. Another reason might also be because of politics, may it be office politics or plain “politics” – especially in government owned establishments. Performance management of the team is a very important strategy for one company to be successful, especially if it is still starting to have its name in its respective industry. A great support from the top management, through the HR, is really needed to be able to utilize the great potential of employees. The HR management would know who are these people to hire and recruit and current employees to retain and nurture, that have great potentials in building success for the company. So, backing up the HR manager in managing the talents of these individuals for the greater good of the company is a great motivation for employees to work harder and give their best on their jobs. If top management supports the development of their team, Performance management would easily be implemented and utilized by the HR people. In my opinion, many organizations do not utilize Performance Management as an important business strategy because they fail to see the advantages it will result into. Instead, they see this as additional cost to the company. For them, additional cost is bad for business. This cost efficiency mindset has somehow narrowed their focus, neglecting some important aspect of the business process. The mentality that only the big or multi-million company can afford to utilize Performance Management keeps organization from looking into the bigger advantage of this business strategy. If only they spend an extra amount of money to develop their hired talent, monitor, and evaluate them, the result will not only be on the employees but also in the way they do their job or responsibilities. These will result to better services or increased production and impact the overall standing of the company. Another perspective that some organizations hold is that they see their employees like a thing to be maximize or utilize. They don’t care about the well-being of their employees. Especially when they are into manufacturing or skilled base business. Perhaps all they need is someone to man the operation say for example in a factory, and so, engaging into Performance Management is not a priority. They do not see the need to enhance the skills of their people. For other organization, the nitty-gritty aspect of performance management is something that the company do not prioritize. This maybe one of the reasons why they are not utilizing Performance Management. Maybe, they are more into sales and making profit and so their priority is on this area of the company. It is a sad thing though, that many companies and organizations fail to see the importance of people in their institutions. Instead they see them as only paid employees and not as an assets and so they don’t invest on them. This concept limits the company and affects its productivity and success. With Performance Management, any organization can grow and reach not only the company’s goal but that of their human assets as well. it is considered as an important business strategy. The manager plays a major role in the day to day interactions of employees to ensure success, where in the human resource provides support, training and back up. If talent management an important business strategy, the question is, why is it not utilized ? A question that I need to ponder on as a practicing human resource manager. In reality, based on research and prints, it is really the best strategy to be employed in business, only that, here in the Philippines, we have our “Pinoy style of management “, where “Padrino” system is being practiced. Even if the person is not qualified or fitted in the position, as long as he/she has connections on top ranking officials, they have a higher position in the government office. Moreover, while hiring people whose vision and values align with that of the company, first you need to create a work environment that motivates employees. In the pyramid of Maslow’s hierarchy, recognizing the talents and giving opportunities at work are the one They need opportunities to develop their careers and to be recognized for their contributions. In conclusion, the value of business is built on individual employees that possess the ability to help drive the company forward, that’s why you can’t hire just anyone to work for the company. The shared values, beliefs and behaviors plays a crucial role on how the organization functions, but not on the best talent the company has. Performance Management as a business strategy requires commitment and support from the business stakeholders. The idea of this approach is impressive but not all business entity is into those considering that this is a tedious function to consider. Nevertheless, here is my take on the said issue why organizations are not utilizing performance management as a strategy. First is the lack of management support and finances. For an organization to effectively perform and implement performance management system, this requires support from the top level so that it will be fully materialized. Aside from the positive support, the top level must also make sure that it has employees with potential to carry out the said strategy. Also, finances are another issue that hinders organization to have performance management in the company. To manage performance of employee effectively, it also requires management to have sufficient finances to carry out the plan. More often than not, the performances of employees are connected with the compensation they are going to receive. How can you expect an employee to give his/her best with a very little salary? It is a no brainer of course for business to consider that compensation package plays a huge part in order to motivate employee to perform at its best. Although I know there are those who are motivated by the job itself. Even in attracting the best talent for the business, compensation package of the organization affects the number and type of applicants for the business. It is a reality that organizations need to face. Secondly, some businesses do not utilize performance management because they lack knowledge and skills about this matter. It could be that the organization has all the finances needed but the competence to integrate performance management into the business operation may be lacking. They need to have leaders who have the expertise on the said matter; it could either be by recruiting an outsider or developing the present ones. The bottomline is, they need to have someone who will lead the change and will utilize performance management as a business strategy so that goals are realized. And lastly, they are okay with the present situation of their business. Knowledge and skills may be present and finances may be available, it is just that the business is doing okay at the moment. It could also be that the business already has existing effective systems in their talent management aside from performance management. This is a very rare scenario considering that business should have a proactive mindset all the time. No matter how okay the current functioning is, they need to prepare for all types of risk and possibilities in the future specifically with regards to their employees. There is no absolute ownership in people. Organizations need to understand that employees taste and preferences changes all the time. They may be satisfied with the current offering the company is giving that is why they are staying and performing well; but time can only tell that some of these employees will demand for more. Thus, managing talent and performance must be continuous function for business to consider.